CITB, NHBC and the the Association of Brickwork Contractors (ABC) have launched brickwork masterclasses as part of their ongoing commitment to improve standards a quality on new build projects. As a member of the ABC, Grayson are proud to support this training available to bricklayers and site managers. The sessions will provide training on the most common installation issues: cavity trays, insulation, weep holes and fire stopping. The aim of the training is to perfect the skills of your tradespeoples to improve the standards of new build construction. The free masterclasses are available for a limited time only at various locations throughout the UK, and can also be delivered on site or another convenient location for you. Visit www.nhbc.co.uk/brickwork to book a training session or to find out more information on the scheme. Grayson were proud to sponsor the annual Brick Awards on the evening of Thursday 9th November 2017 at the Hilton, Park Lane, London. 600 guests were welcomed by champagne reception before enjoying a 5* 3-course meal in preparation for the evening’s celebrations and entertainment, the heart of which was the announcement of 16 category winners of this coveted industry award. 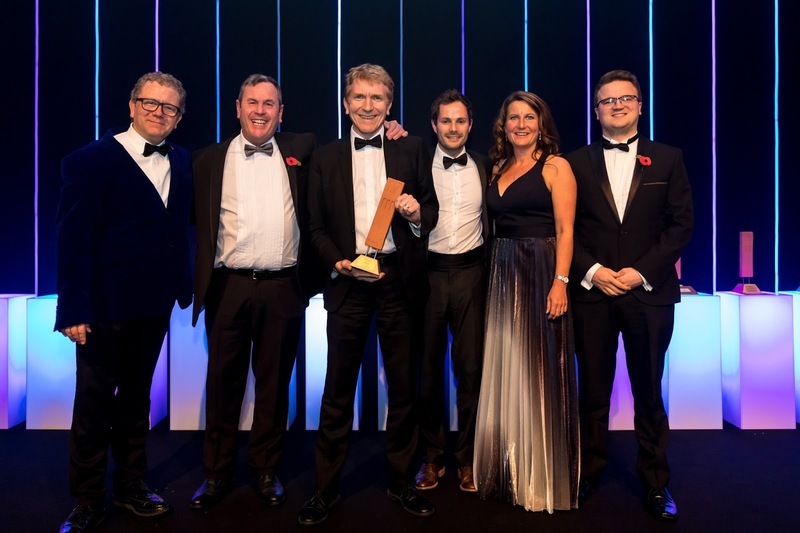 Celebrity impressionist and comedian, Jon Culshaw ensured a suitably dynamic atmosphere and as ever, the anticipation of some most talented professionals made for an electric start to the ceremony. Grayson General Manager Clare Spivey presented the award for Best Public Building which was won by PLF Ltd for Chester Storyhouse. " It was a fantastic evening, with much fun had by all, I was proud to present an award for a fantastic building in a city close to my heart"
Helen Gibson, senior account manager at Grayson, also attended the event. "It was great to see so many innovative designs using brickwork, in so many ambitious projects, its amazing what our industry can achieve"The night also raised over £9000 for the Jericho foundation which was the chosen charity for this years event.